SMEs across the UK are increasingly turning to alternative funding sources because they cannot get the funding they need from the banks. Following the economic crisis in 2008, banks have become increasingly cautious of high risk lending opportunities, such as loan requests from small businesses. New figures from the Bank of England reveal that net lending to SMEs at the start of 2014 has decreased for the fourth year in a row. Ivor Freedman, a Senior Partner at Freedman and Partners believes it comes down a number of factors. “Banks simply can’t make money on small businesses, there is a lack of delivery and most importantly they have no appetite for what they believe to be high risk assets. The p2p sector more than doubled in size last year, with cumulative gross lending at the end of 2013 reaching a record £843million, up from £381 million in 2012. Ivor added that: “The future of p2p lending is very bright; I think it is going to be the mainstream method of choice for small business. 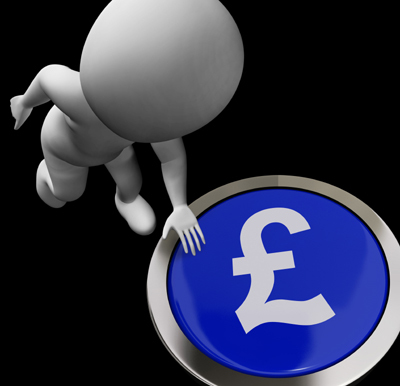 “Peer to peer lending is simply a child of the internet and is a solution to two problems. Freedman and Partners are a sponsor to the Thin cats Peer-to-Peer business loan network and have recently worked with Odyssey airlines. The reason for the loan was to provide new business class flights from JFK to London City airport, creating jobs and business opportunities in the capital. “Our role as a sponsor on a business loans network is to sort out the cases and act for the borrower for submitting the loan” said Ivor Freeman. With 14.4 million people employed by small companies, and with a combined annual turnover of £1,600 billion, alternative finance will need to play a crucial role in the growth and expansion of UK trade. Dominic Saville CEO of 3DD Group, a London based television production company in North London and was tired of being let down by his bank. After months of negligence from the high street banks, Dominic turned to Peer-to-Peer lending as a way to grow his business.